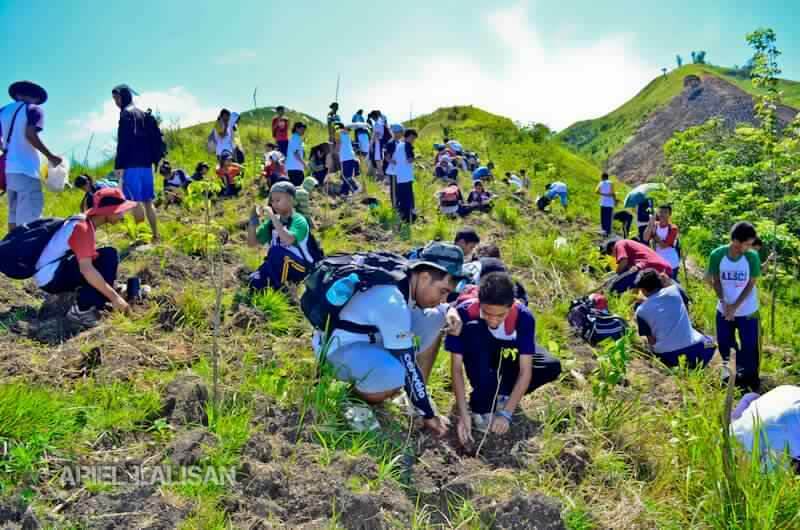 ABOUT 200 trees were planted as representatives from different sectors gathered yesterday for the launching of the National Greening Program in Sarangani in Sitio Masasato, Bagacay, Alabel, Sarangani Province. LEADERS FOR ENVIRONMENT. Gov. 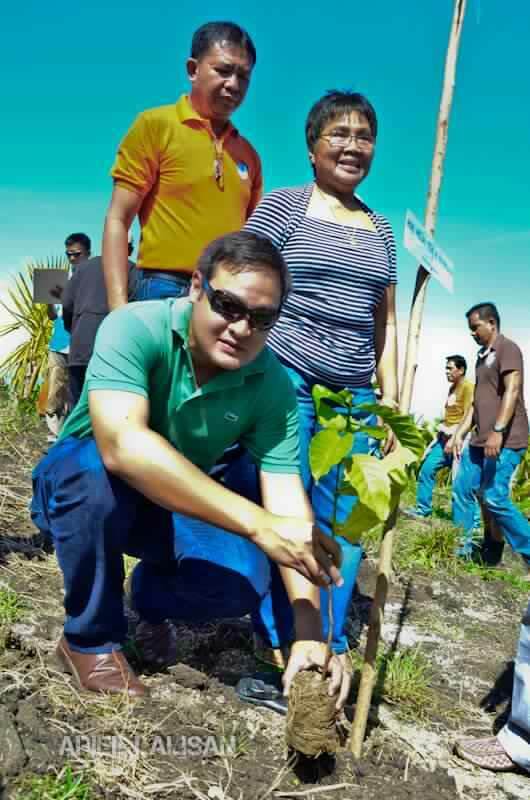 Miguel Rene Dominguez plants a tree in Sitio Masasato, Bagacay, Alabel, Sarangani Province as Mayor Corazon Grafilo of Alabel and PENRO Eduardo Saladero look on. The tree-planting activity was pursuant to Executive Order 26 of Pres. Benigno S. Aquino that mandates the implementation of the National Greening Program to reduce poverty, promote food security, environmental stability and biodiversity conservation, and enhance climate change mitigation and adaptation. “The program seeks to plant 1.5 billion seedlings in 1.5 million hectares of public land,” OIC Provincial Environment Officer Eduardo Saladero said during the briefing. More than 150 participants of the plant and tree services composed of local government officials, representatives from various government agencies, and students from Alabel National Science High School planted coffee, mahogany, ipil-ipil, and narra trees in the one hectare of land, owned by former Barangay Captain of Bagacay, Bienvenido Torres. MOVERS. Students composed the majority of the tree-planters yesterday. 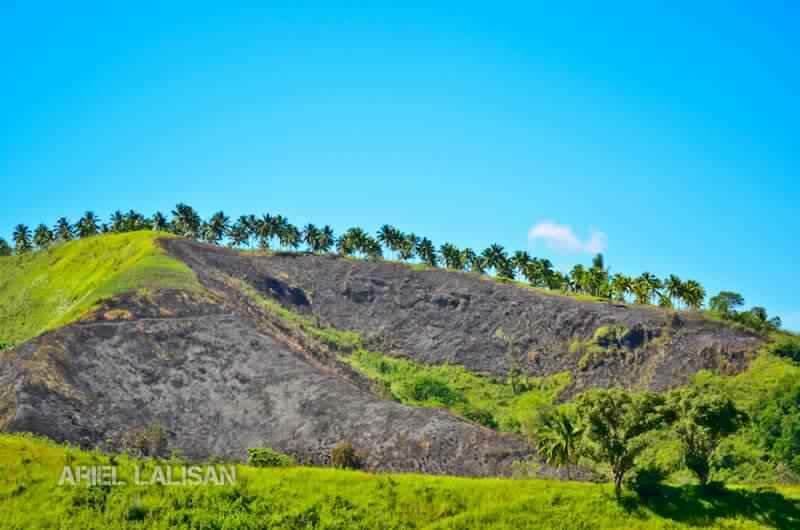 “Aside from planting trees, we should also mitigate the problem of shifting cultivation or the kaingin system,” Environment Committee Chairman of the Sangguniang Panlalawigan Eleonor Saguiguit said. VICIOUS. It wouldn’t do good if the lowlanders plant trees in the mountains while the highlanders continue burning vegetation. From the site of the tree-planting activity, several patches of land with burnt down vegetation can be seen. The local community will be tapped to take care of the trees and they will be recipients of the Conditional Cash Transfer of the Department of Social Welfare in return. sir, correction, walang narra trees, ipil-ipil po yun. “It wouldn’t good? ?” or It wouldn’t DO good? Thanks, again, Jew. Hehe. I thought I got it all right this time. I added ipil-ipil. I saw a few narra saplings yesterday. I planted two narra trees. ah, ganun? May narra pala? sabi kasi 3 seedlings lang. hehe. Welcome sir.